Caring for hardwood floors is an important part of maintaining their beauty and longevity. Read on for our guide to maintaining awesome looking hardwood! Grit from daily foot traffic is a big enemy to your floor’s shine and finish. It can easily become dulled or scratched by the stuff we track in on a routine basis. If you decide to vacuum, make sure you use the floor brush attachment and not a beater-bar: those can damage the surface! Dusting is great but it won’t remove residue or buildup – for that you’ll need more cleaning power. A damp mop should do the trick! Some people use vinegar/water/soap combinations while others opt for a designated hardwood floor cleaning product. 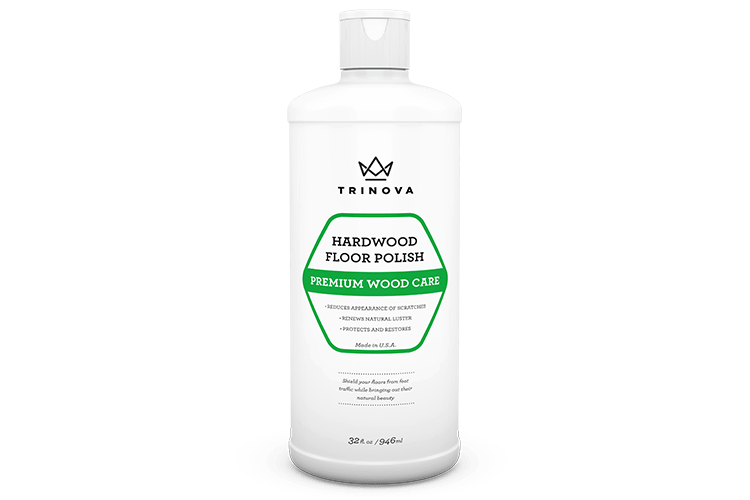 The product you use depends on whether your floors have been surface-sealed or if they have wax, lacquer, shellac or some other type of penetrating finish. If you’re not sure – there are a few quick and easy tests. A drop of water on the surface not be absorbed with surface-sealed floors but will eventually seep into floors treated with a penetrating finish. You can also just rub your finger across the surface. Surface-sealed floors won’t smudge, but the rest will. How do I prevent damage to my hardwood floors? Make sure heavy furniture rests on pads – and pick it up to move, don’t drag it! How do I keep hardwood floors looking their best? You can apply wax or polish once a year to maintain a glossy smooth surface. The type of product you use once again depends on the type of seal your flooring has. Be sure to buy the right product for the job. If the damage has already been done, you can try to fill in small scratches with a professional wax or sealer – – or go the DIY route and try to melt a similarly colored crayon if you’re feeling brave! If things are really bad, hardwood floors can be sanded and refinished to get back to their original beauty. How do you care for your hardwood floors? Tell us in the comments below!